Our pigs love it here! We are raising them with plenty of room to roam, root, play in the mud, and be a pig. We raise them humanely with kindness and respect. We do not use antibiotics to promote growth or to control or mask disease by putting antibiotics in the feed. 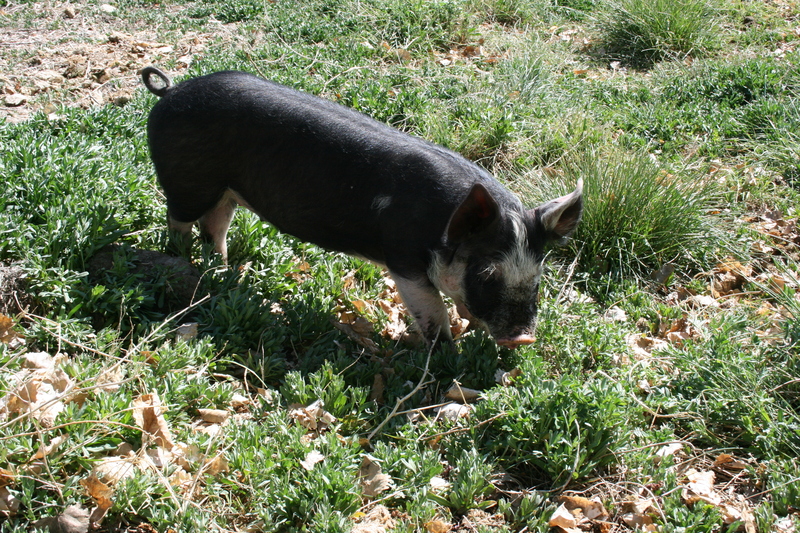 Our pigs do not need them because they do not live in overcrowded, confined areas. They are fed an all natural vegetarian diet. 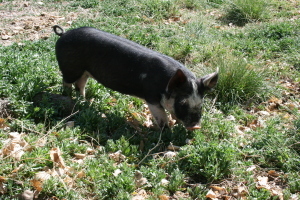 Our pigs are not administered growth hormones. All these factors and quality heritage breeding go into making AMAZING pork!